Cleaning up the damage caused by Superstorm Sandy will cost New Jersey about $29.4 billion, Gov. 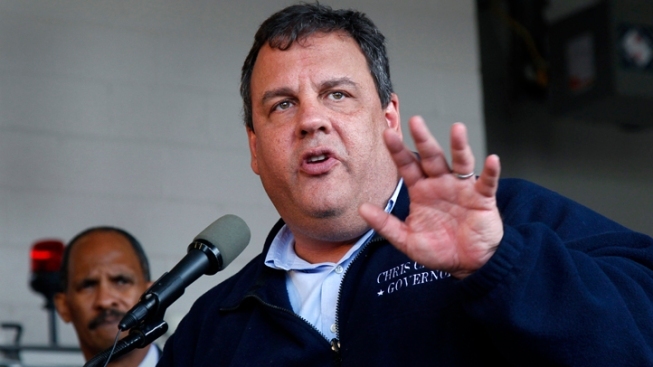 Chris Christie announced Friday night. The preliminary estimate includes damage the storm caused to personal property, businesses, transportation, utilities and infrastructure, as well as aid the state has already received and also expects to get from the Federal Emergency Management Agency and other federal agencies. Christie, though, warned that the damage estimate could go higher as the state further assesses damage caused by the monster storm that pounded the East Coast last month. Christie said the estimate came from "the best available data, field observations and geographic mapping," and advice from cabinet officials and a consulting company. "We will continue to provide immediate relief for our citizens who were struck hard by Sandy," Christie said. "But be assured, I will spare no effort and waste no time to rebuild and restore our tourism industry, our transportation and utilities infrastructure and the lives of our citizens for the long term." The Jersey Shore, the lifeblood of New Jersey's $38 billion tourism industry, was hardest-hit during the storm. Christie said officials will continue to assess the storm's impact on coming tourism seasons, as well as changes in real estate values. Numerous New Jersey transit trains were destroyed in the storm, and two wastewater treatment plants were heavily damaged. In Hoboken, which flooded, the PATH train remains out of service. FEMA has approved $245 million in individual and household assistance to New Jersey residents living in federally declared disaster areas, according to its website. Christie said the state will also take into account population shifts that occurred because of the storm. Christie said he remains committed to working with congress, the federal government and President Obama to "get the funding support New Jersey expects and deserves in the aftermath of this catastrophe."